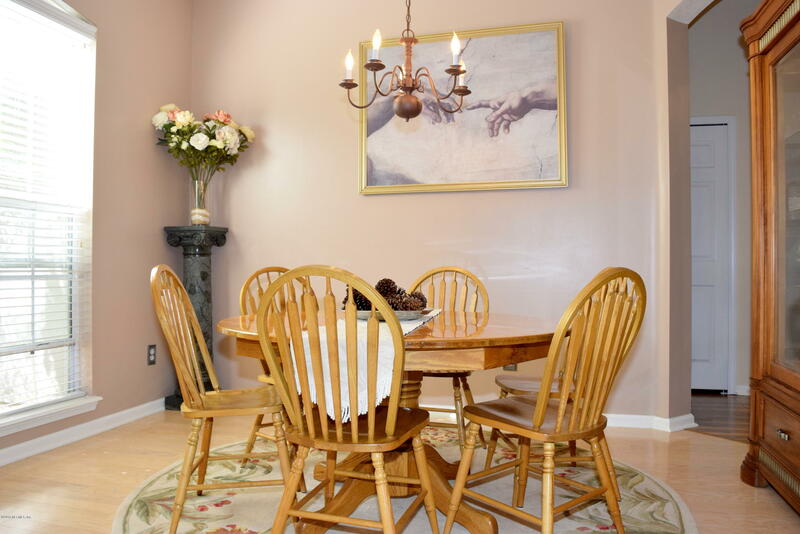 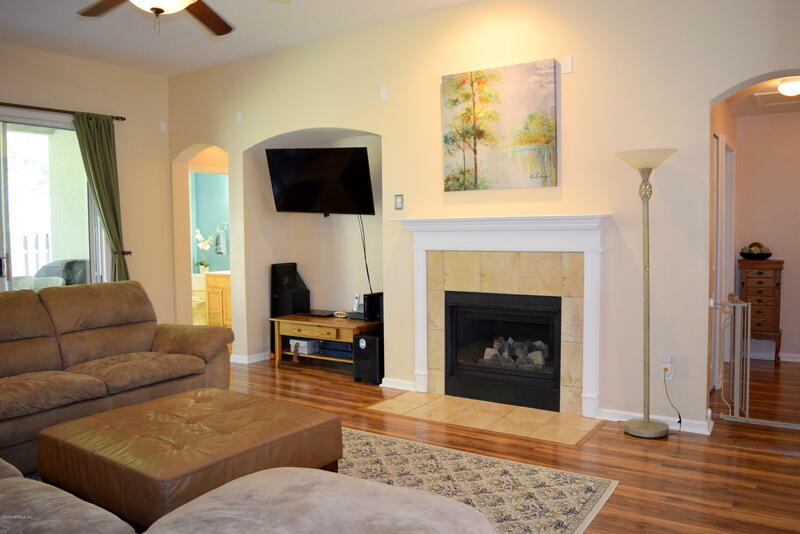 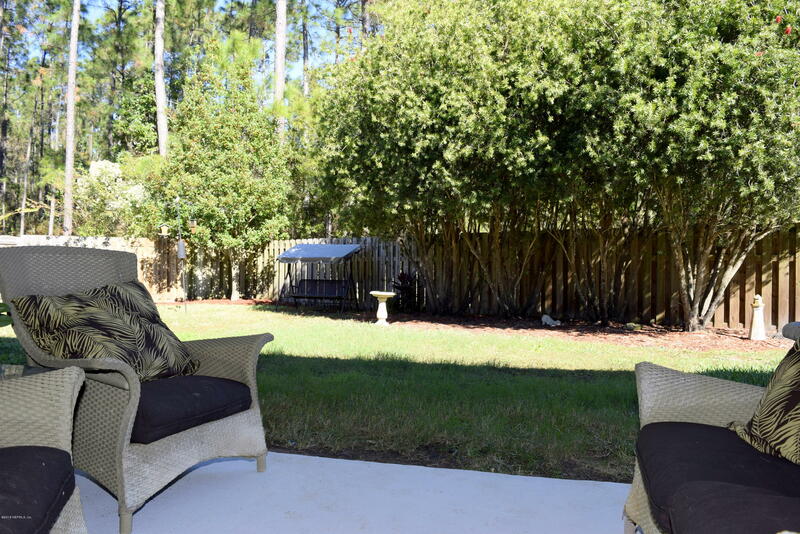 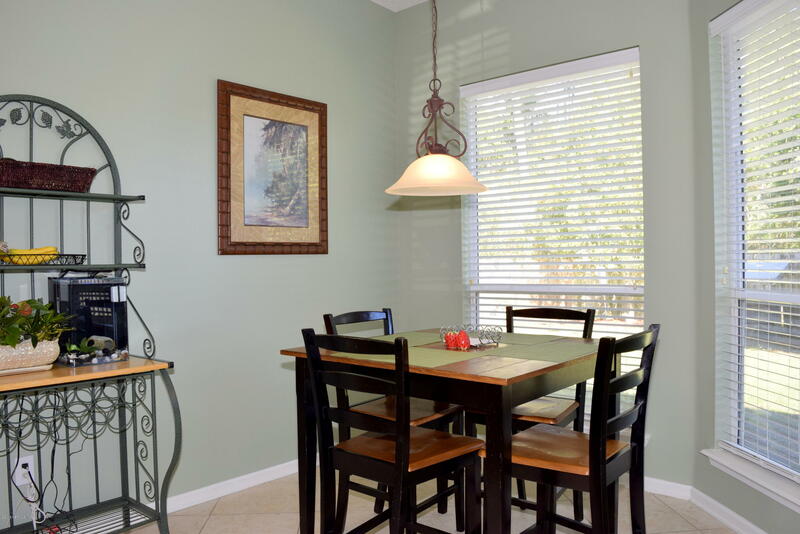 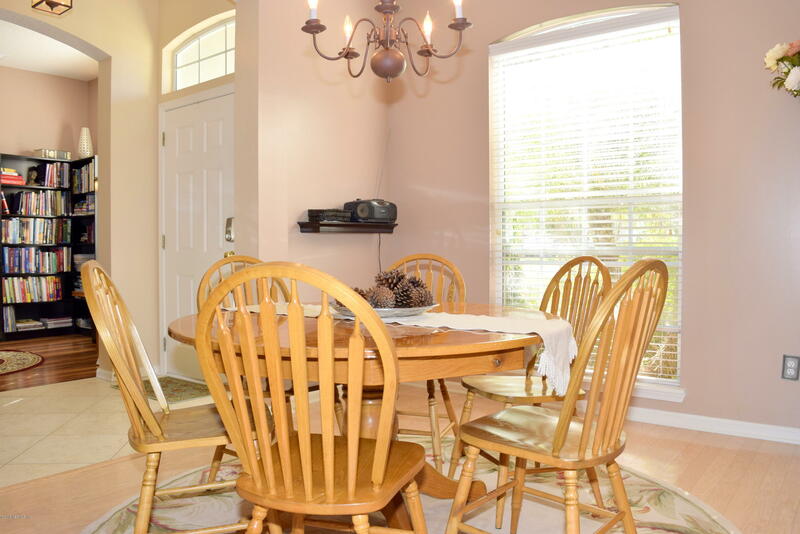 Beautiful all stucco home located in a cul de sac & backs up to private conservation. 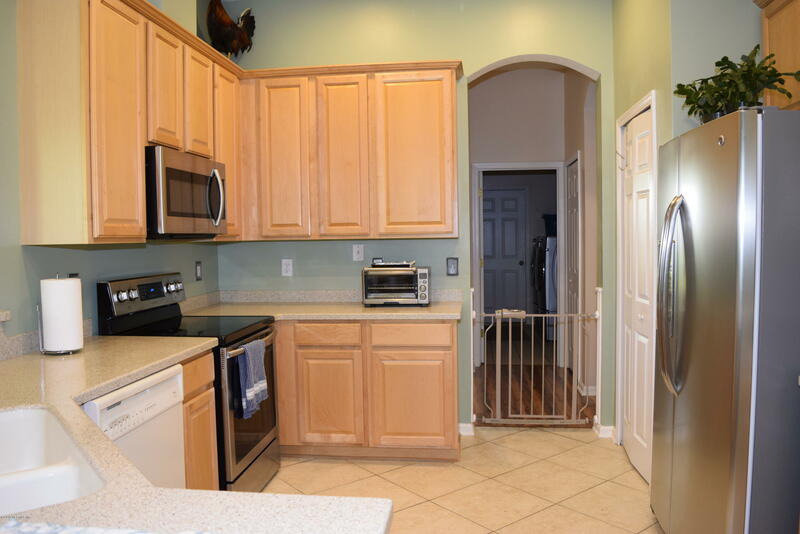 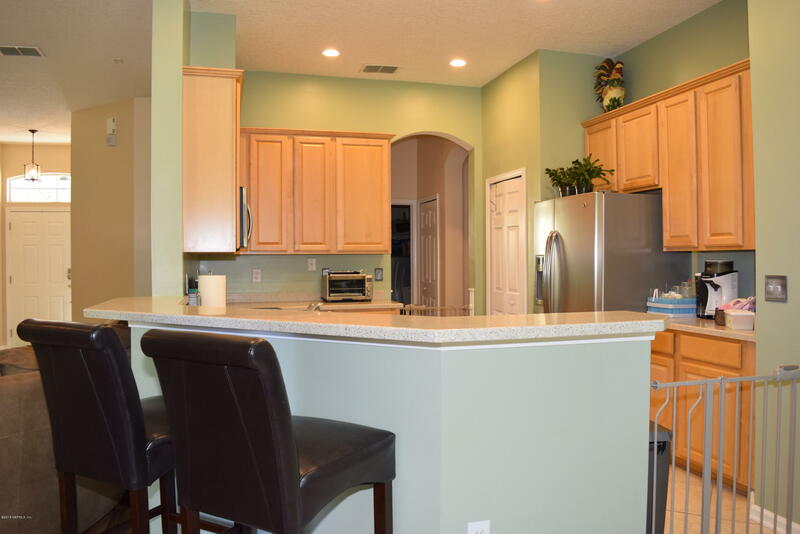 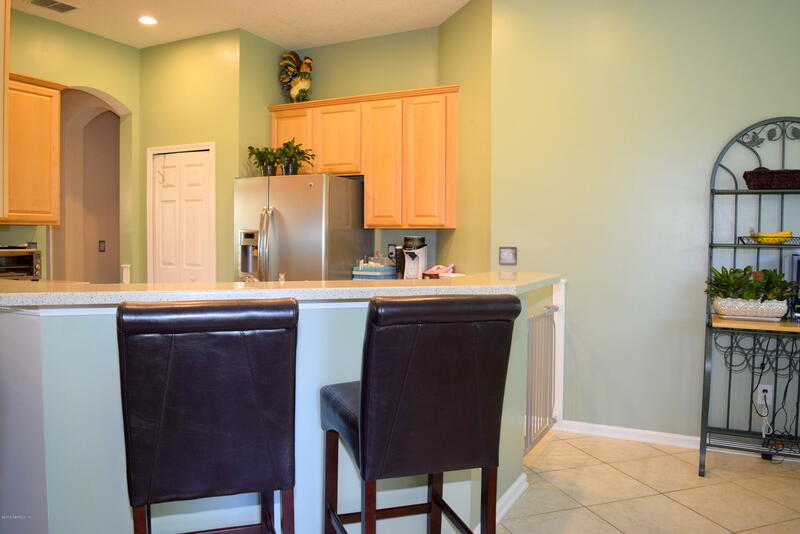 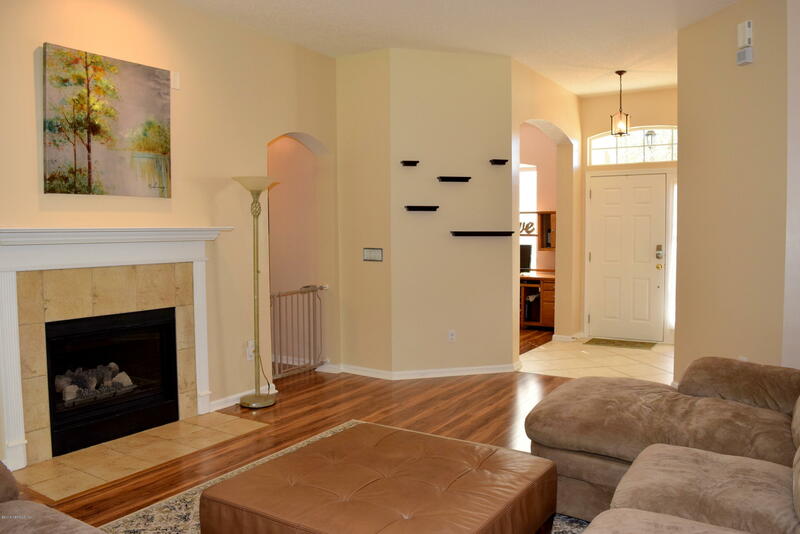 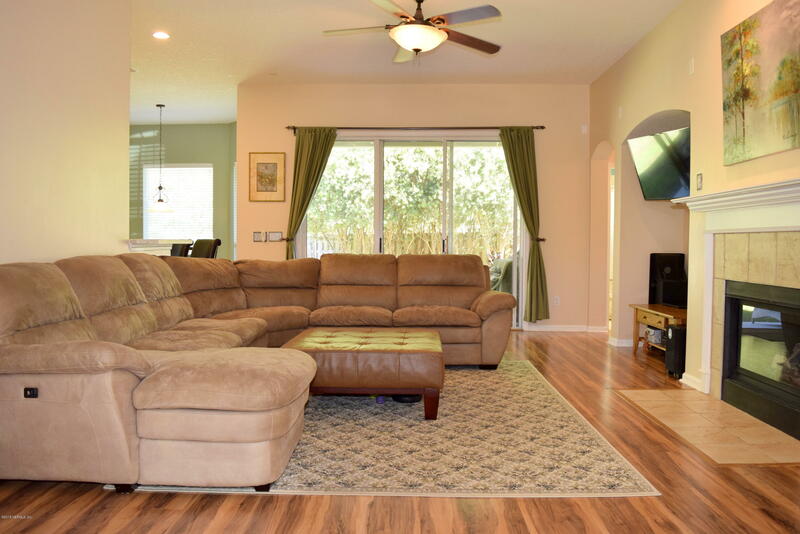 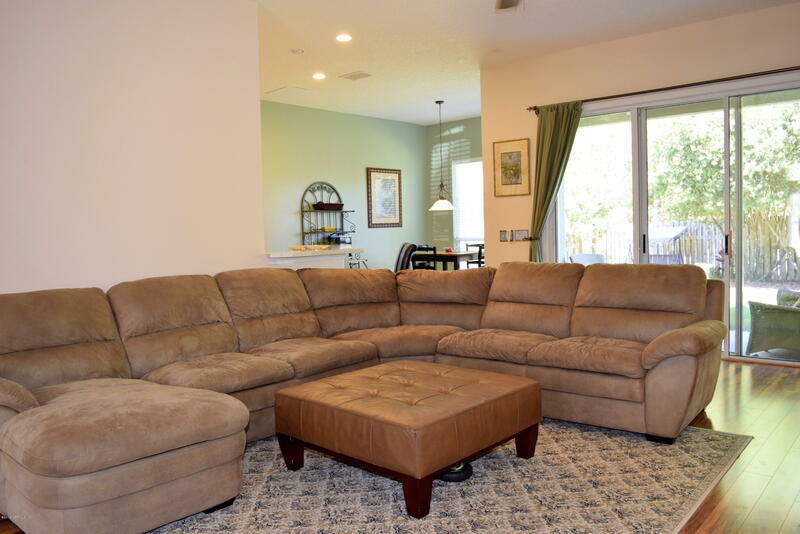 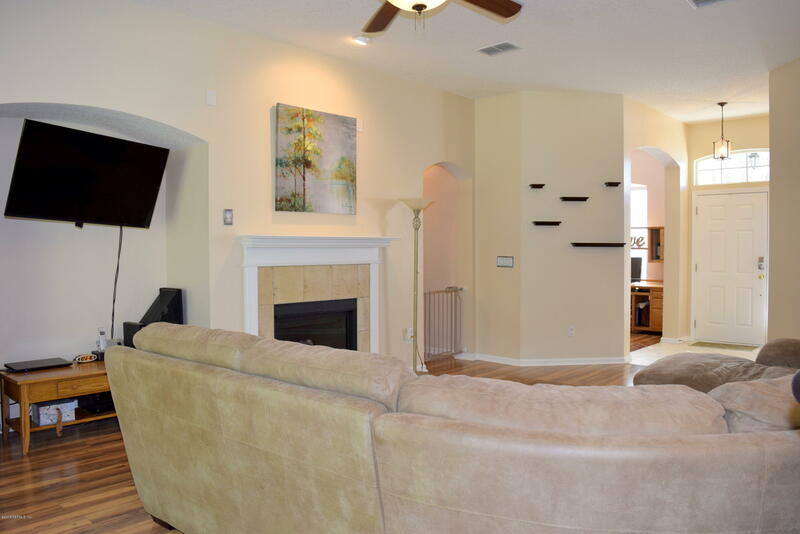 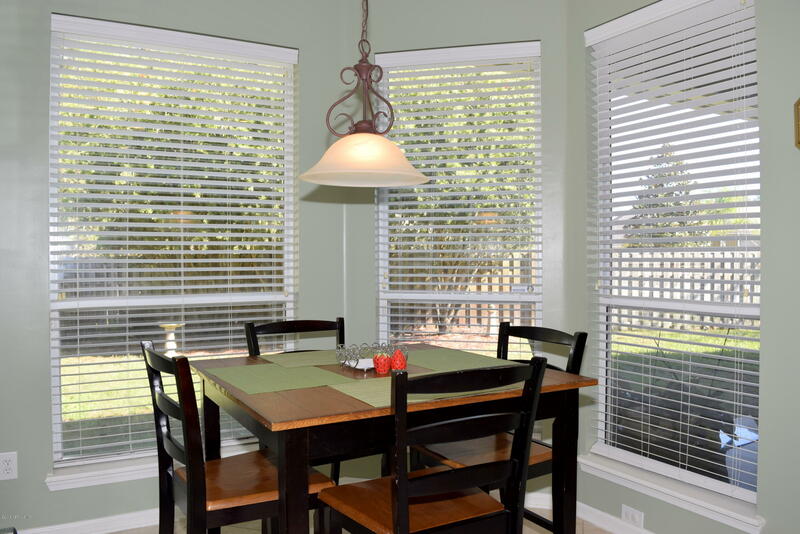 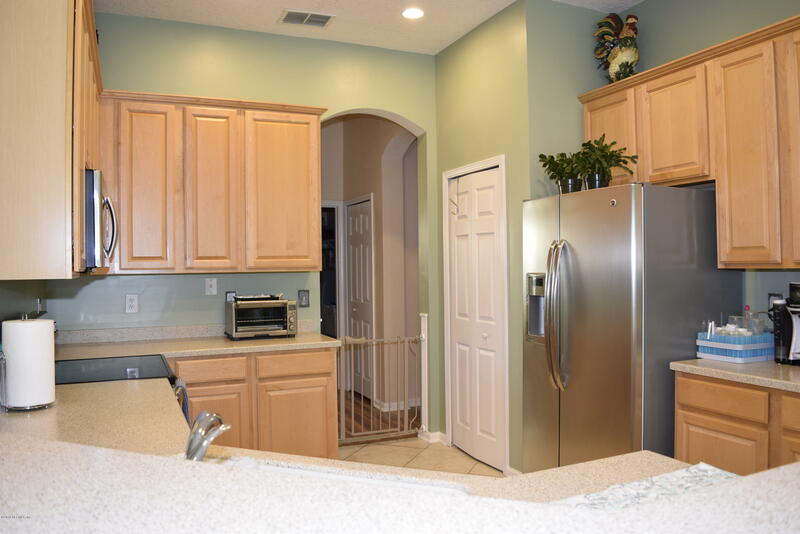 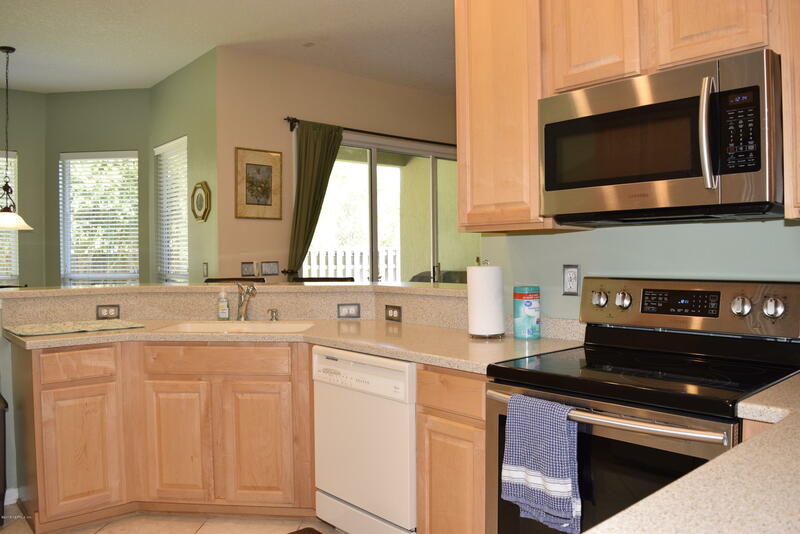 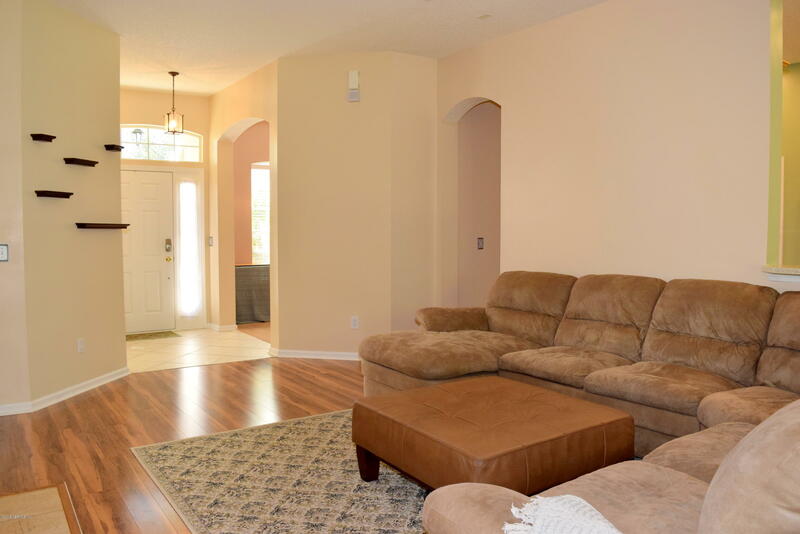 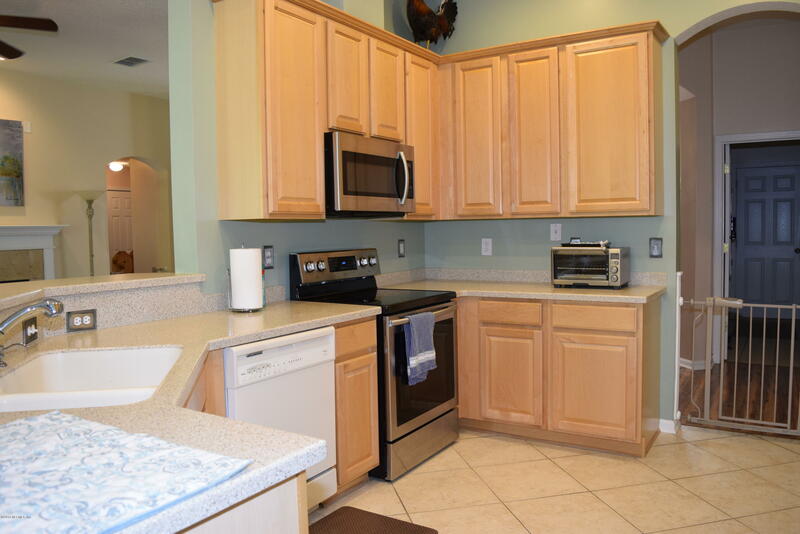 Nice open floor plan w/ triple split 4br/ 3 ba w/ beautiful laminate floors. 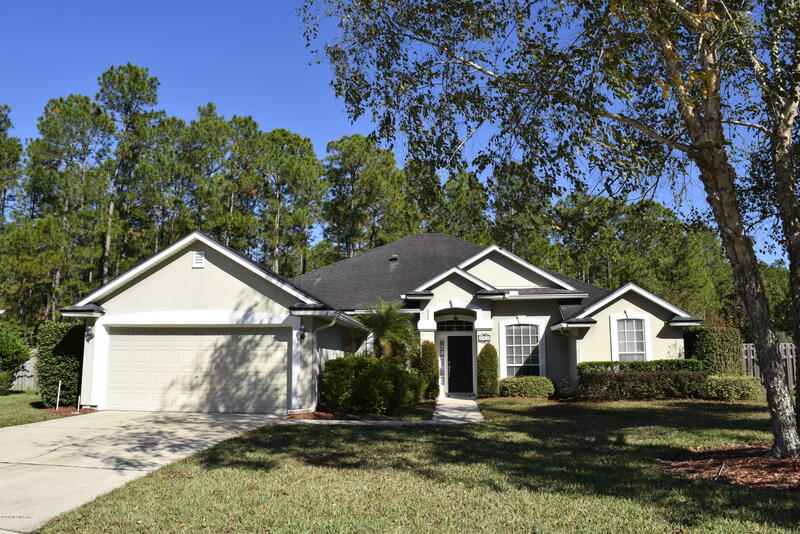 Formal living makes for a great office, formal dining has hardwood floors & step down ceiling, huge family room w/ gas fireplace, Good size kitchen w/eat in space, breakfast bar overlooking family room, updated counters, 42 in cabinet w/crown molding, newer stainless steel appliances, 2 pantries & tiled floors. 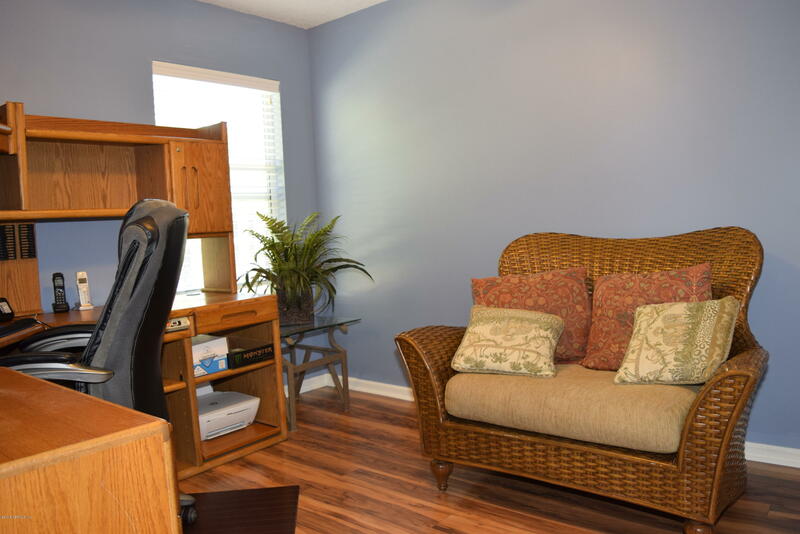 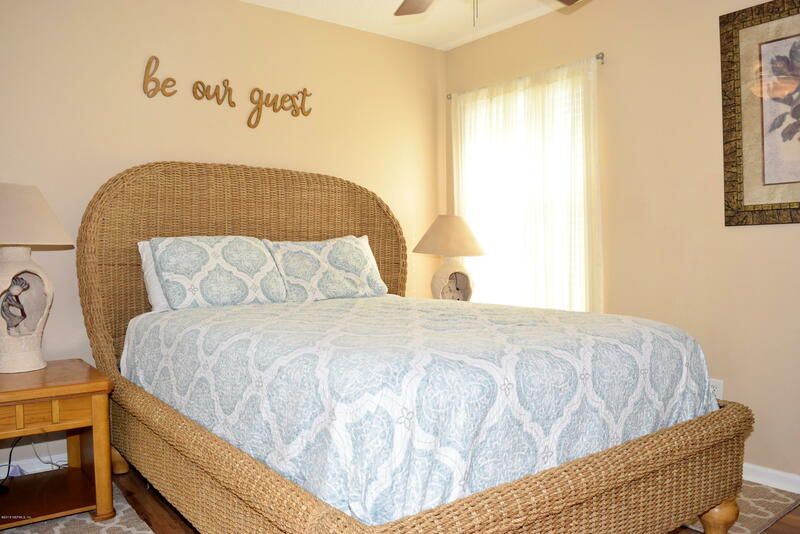 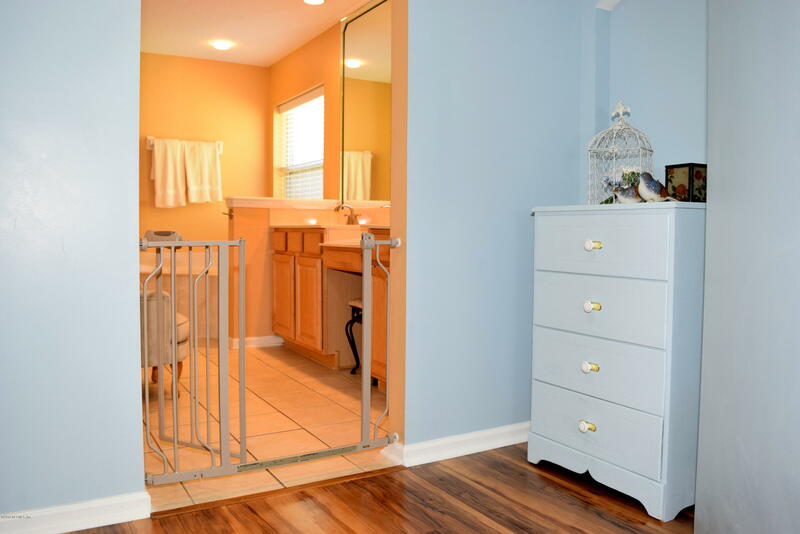 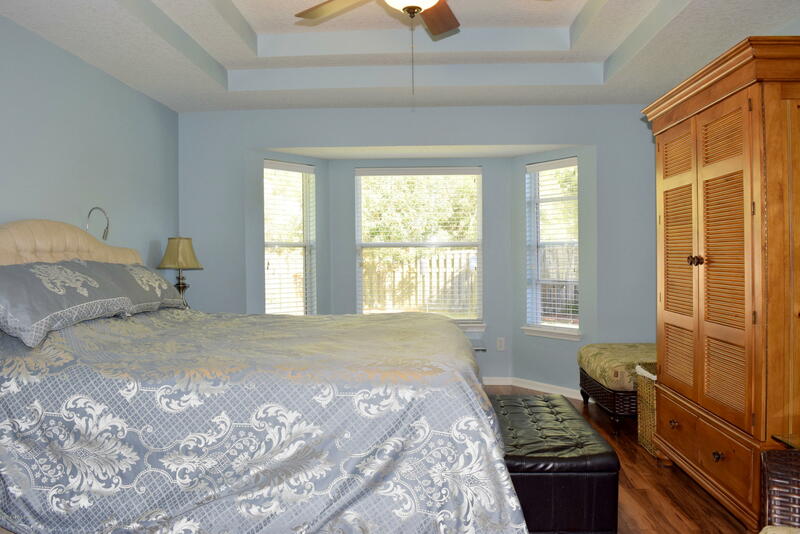 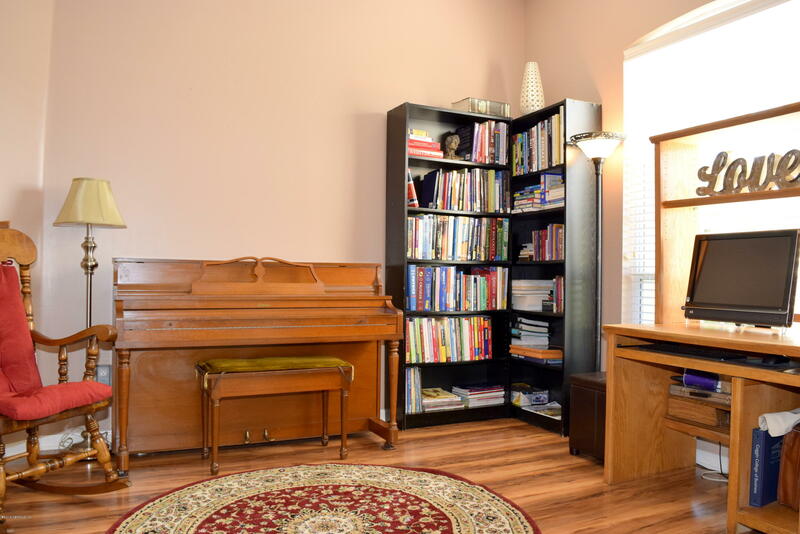 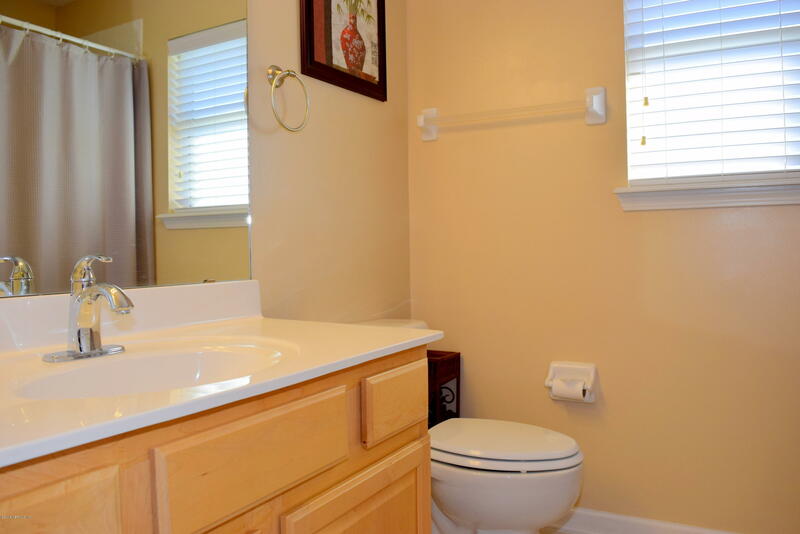 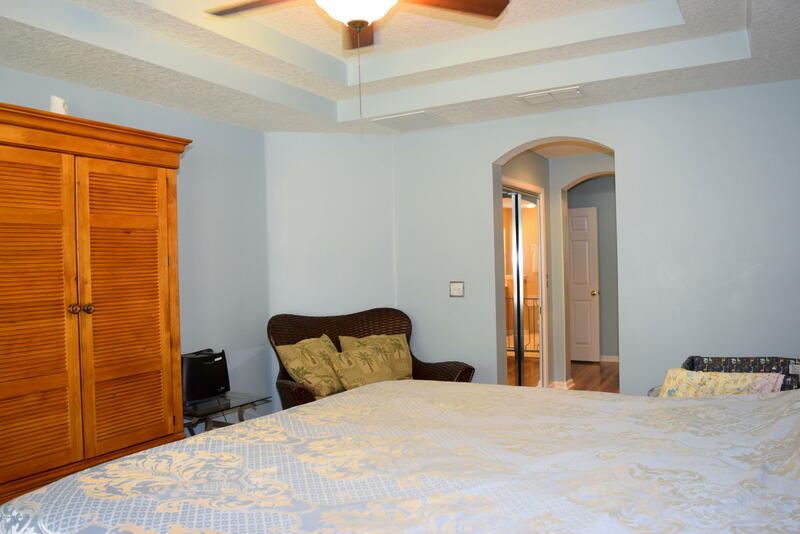 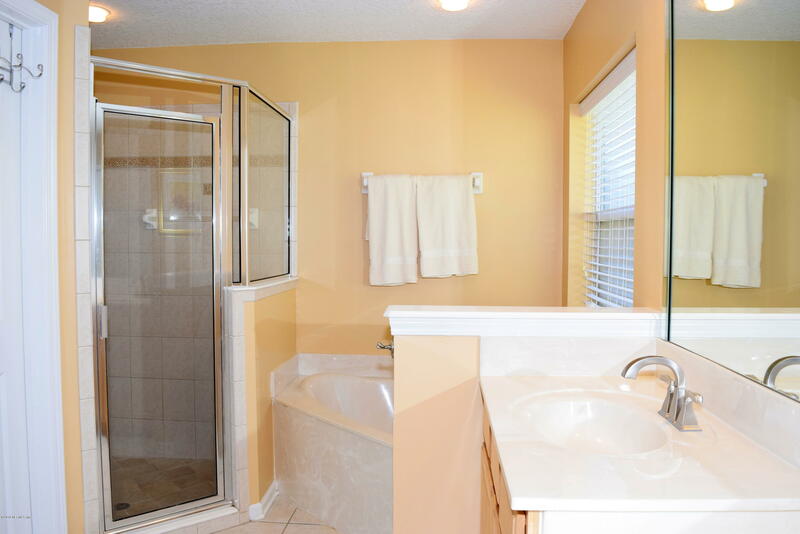 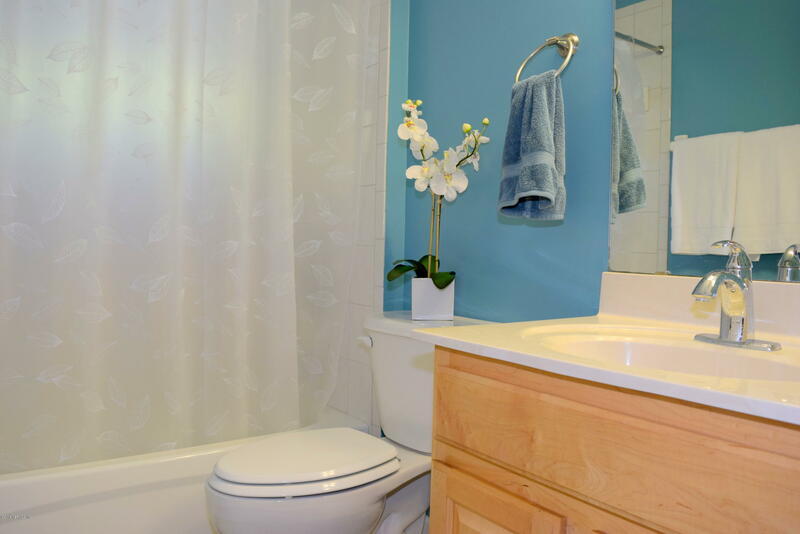 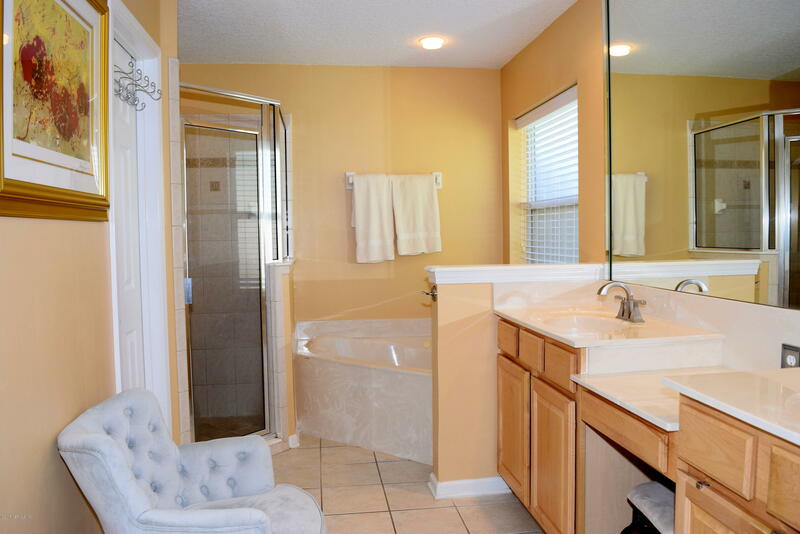 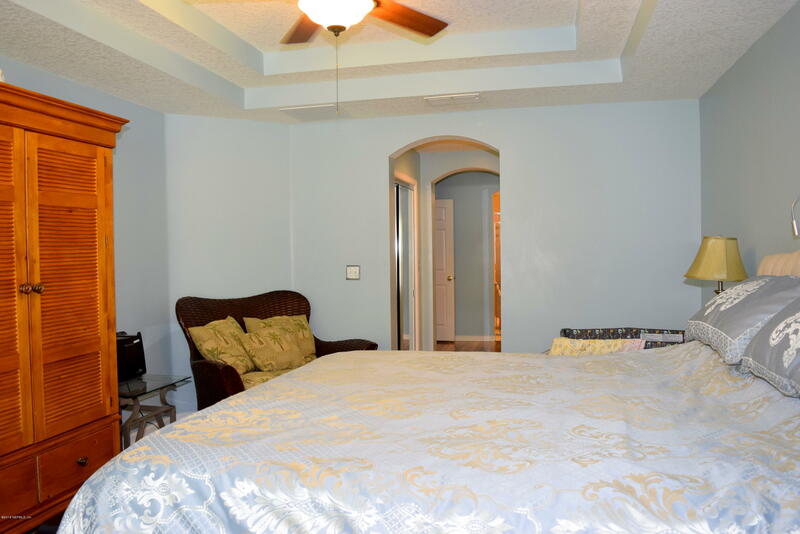 Incredible master suite offers bay window, his/her closets, & step down ceiling at entrance, master bath has jacuzzi garden tub, separate shower & his/her vanities. 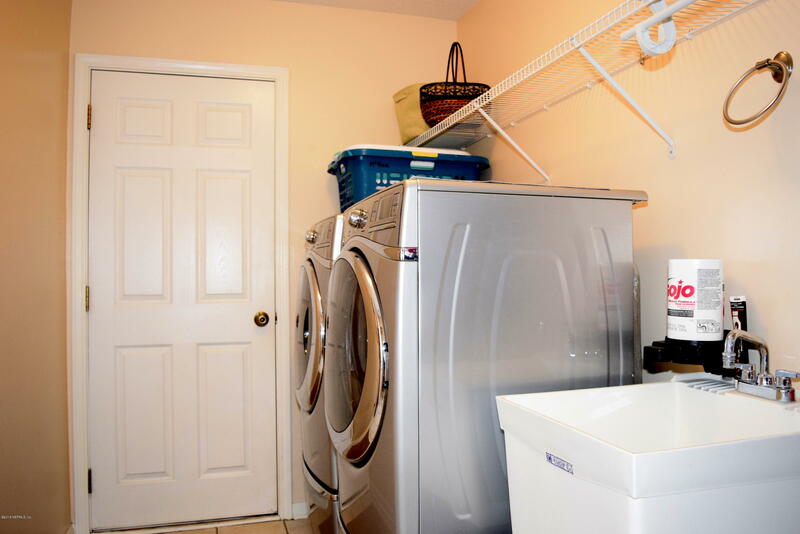 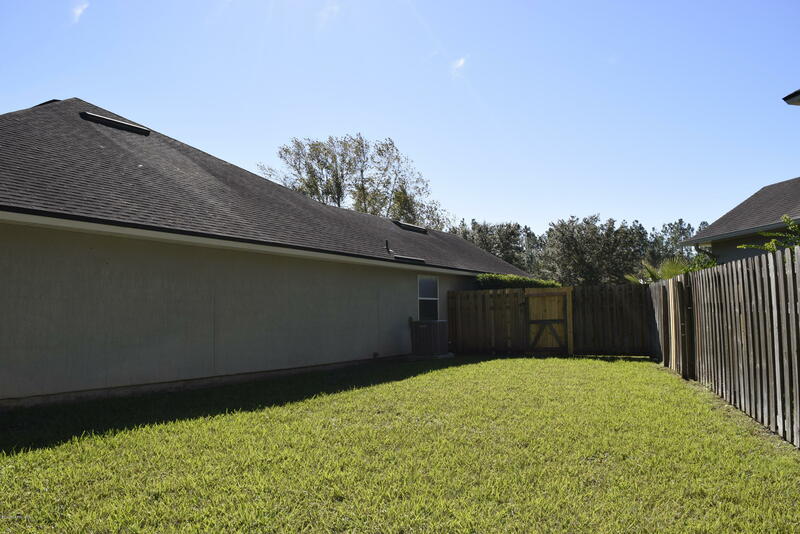 Large indoor laundry, covered lanai, roof 2004, A/C 2013, water heater 2016, termite bond, sprinkler system, wired for sec system. 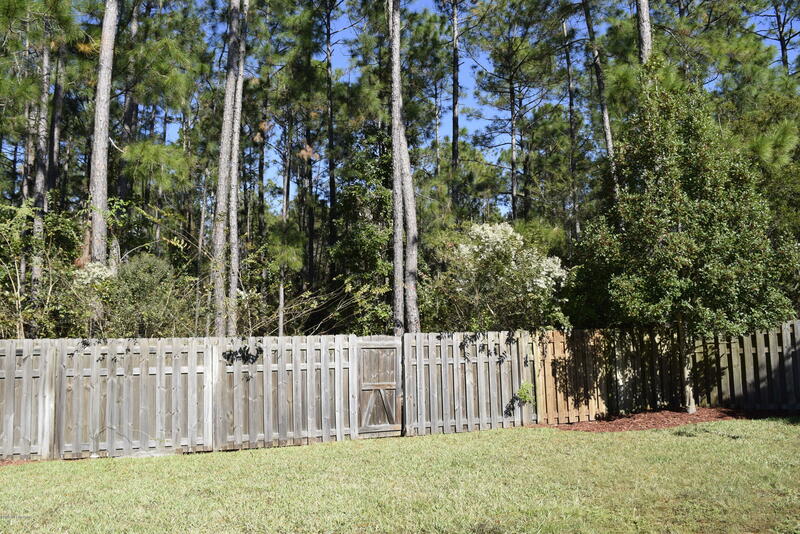 From Racetrack Rd head South on Durbin Creek (Eastern Access adjacent to School), Left on Oakwood Branch (Whispering Pines Entrance), Right on Sparrow Branch to a Left on Cassia Court. 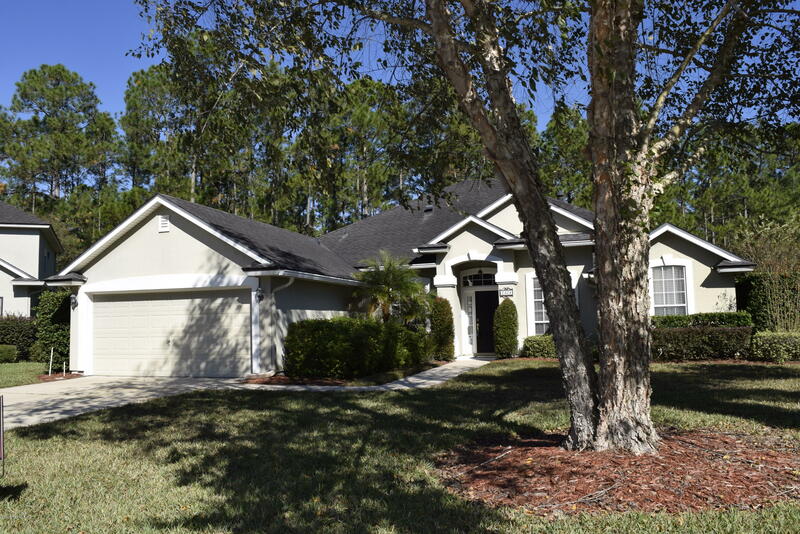 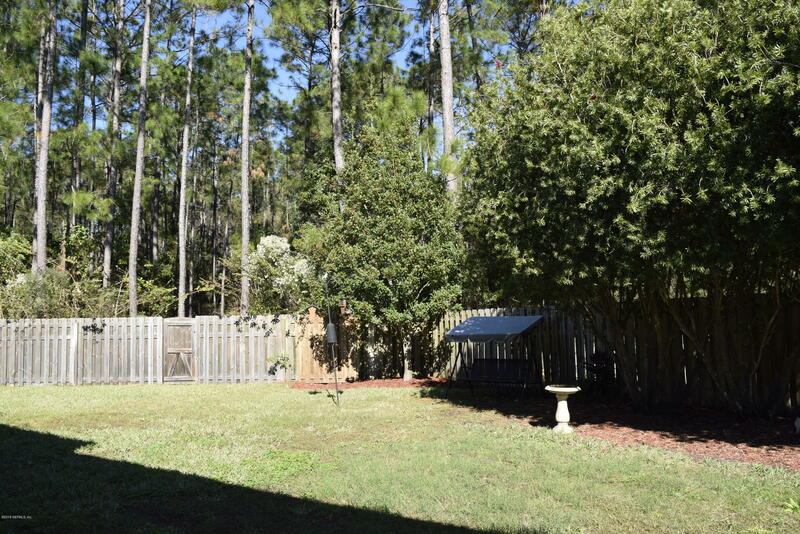 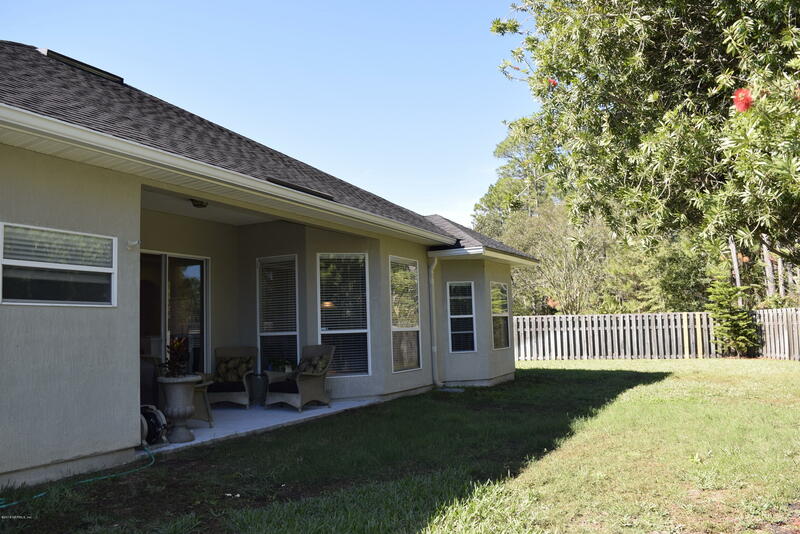 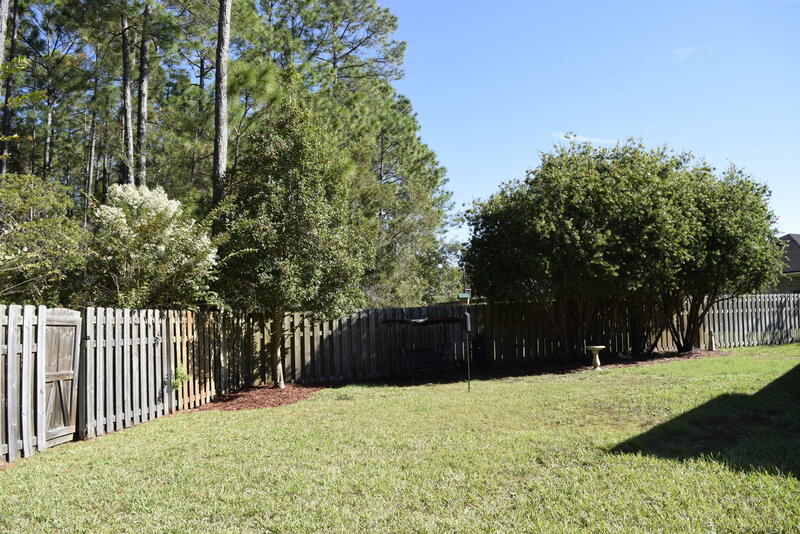 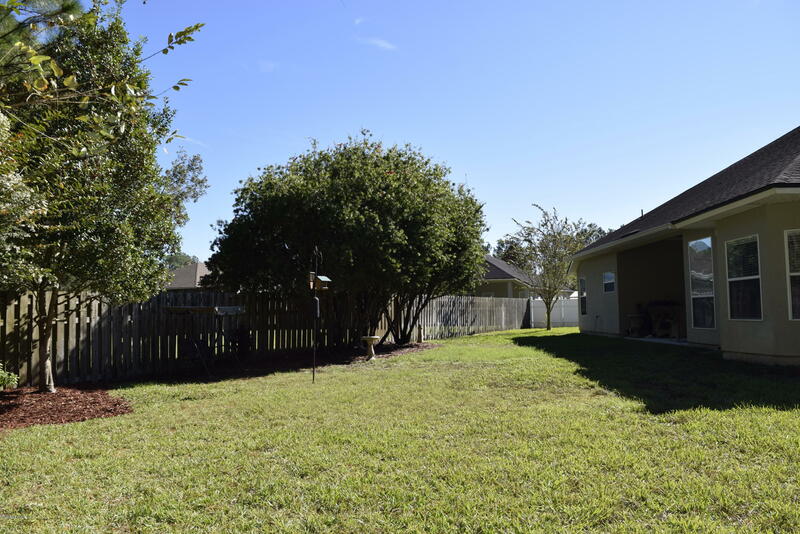 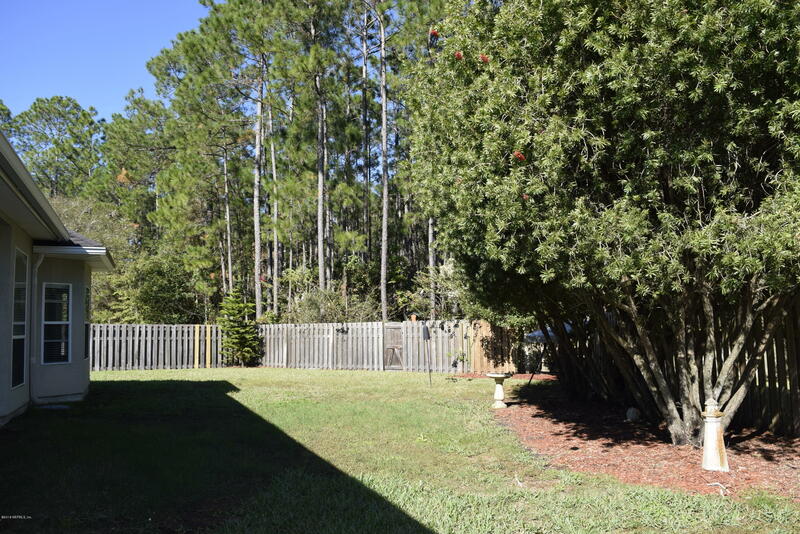 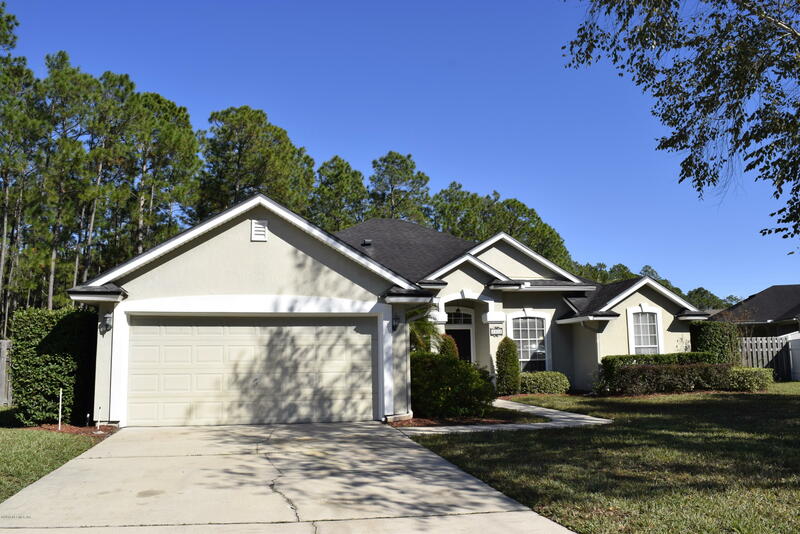 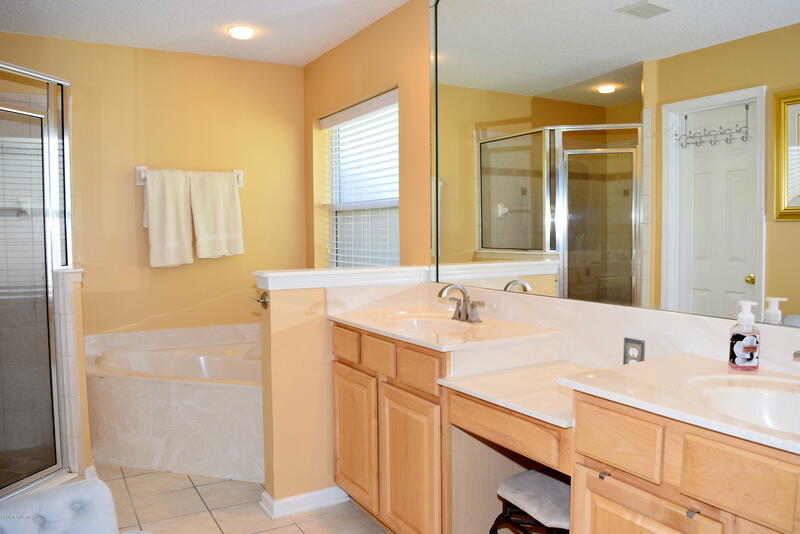 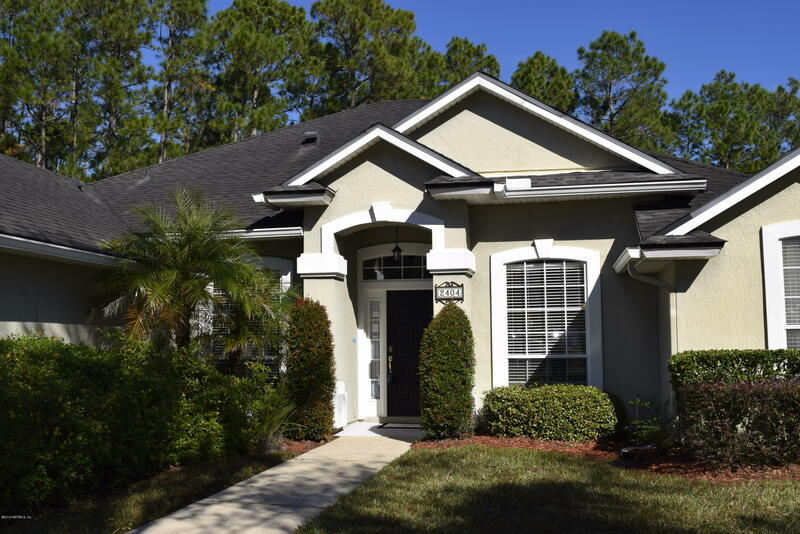 2404 Cassia Ct is a 2,273 (*estimated) square foot home with 4 bedrooms and 3 bathrooms located in Jacksonville FL, ST. JOHNS County. 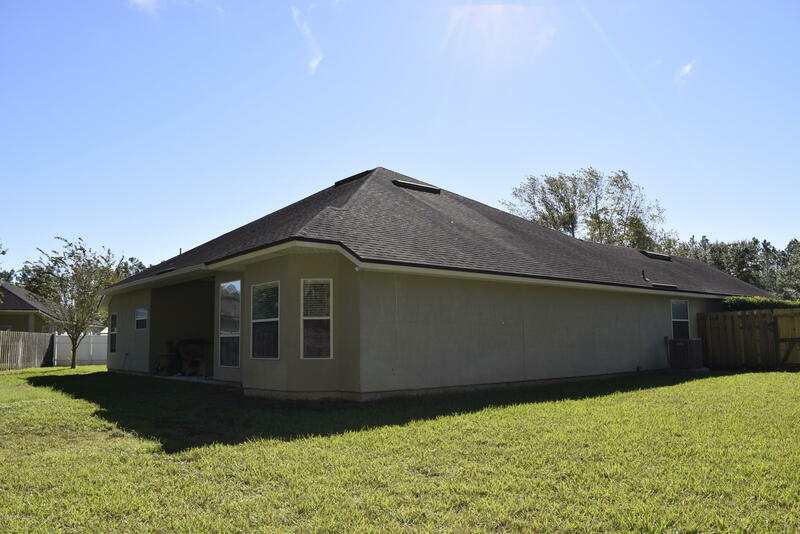 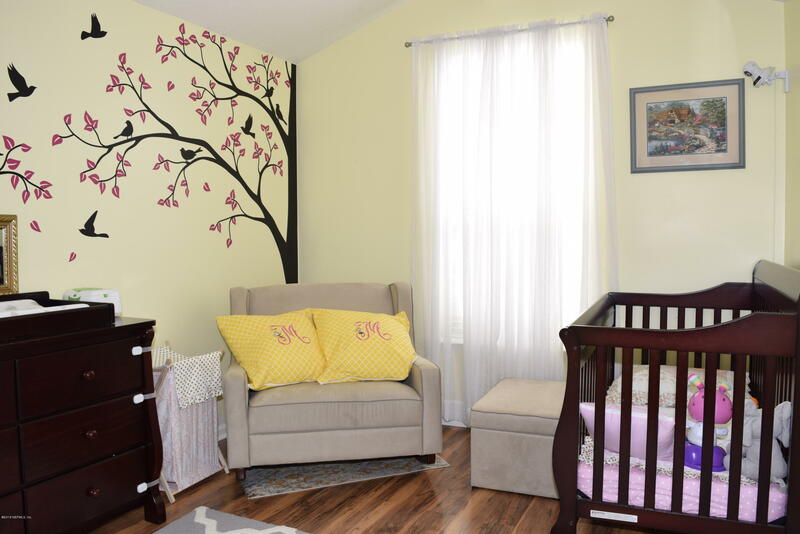 This property is listed for sale at $335,000 and is currently active and accepting offers.